mitigation, treatment or prevention of disease or any other medical condition. NOTE: This information is to be regarded as a product guide only. Hira Laboratories will not be held responsible for the use or misuse of any products listed. We recommend that either a qualified herbalist or your medical professional carry out diagnosis and subsequent treatment. 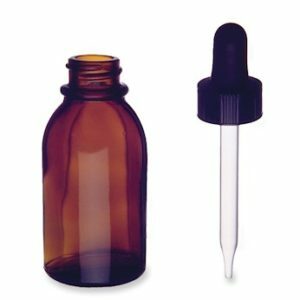 Our Product Line Consists of liquid extracts, tonics, supplements, ointments, creams and natural cosemetics.Liquid extracts These consist of concentrated extracts of herbs. Only small amounts are to be orally administered. These are rapidly absorbed into the blood stream. Please note droppers are extra . The extracts are shipped with a tampertel lid. Hira Ashwagandha Withania somnifera. True rejuvenating herb. It is to India what Ginseng is to China. Particularly suitable for during times of stress. 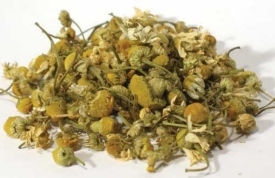 An adaptogenic herb and can regulate important physiological processes. Sitoindosides enhance pathogenic-destroying phagocytes. Ashwagandaholine has calming and anti-spasmodic properties. Also regarded as the Kama Sutra herb improving blood flow to extremities. Note: not to be taken in conjunction with opiate pain killers. From organically grown Matricaria recutita flowers Mildly sedating. . Add 5ml to Hira Lassie or fruit juice. Harpogophytum procumbens. Helps lower blood pressure.Bitter principles act to stimulate liver, gall bladder and lower blood sugar. Devil’s Claw stimulates uterine muscles and should not be given to pregnant woman. Suitable for addressing mild tooth pain or a threatening abcess. Wow after a week on the Devil’s Claw and your vitamin C my back is so much better. I am able to get back into serious riding. Thankyou!I will be ordering more soon. Herbal blood conditioner. Reduces clastogenic factors after exposure to radiation. Taken daily with a Omega Oil smoothie, may help improve cerebral function, blood circulation and bronchial conditions. Note: Must not be taken in conjunction with blood thinners like Warfarin and its use must be discontinued some weeks before surgery. Hypericum perforatum. Natures Anti-depressant. St John’s Wort increases levels of seratonin which is responsible for feelings of contentment. Used long term, will improve sleep patterns and quality of sleep. Note: Must not be used in conjunction with tricyclic anti-depressants or while on the contraceptive pill. Fast acting short term sedative. A muscle relaxant and lowers blood pressure. Contains Valeriana officinalis. 5mls before bed time may help with insomnia. Can I order another 2 bottles of valerian and St John’s Wort, I am sleeping and feeling so much better. Acts on luteinising hormone. Suitable for PMT, menopausal and hormonal problems. Vitex agnes is slightly sedating acting on the endrocine system to help balance the hormonal system and modulate the effects of excess cortisol production through stress. The kidney and urinary tract herb. May help with symptoms associated with prostrate problems in men. May be responsible for anti-angiogenesis on abnormal cell growth. 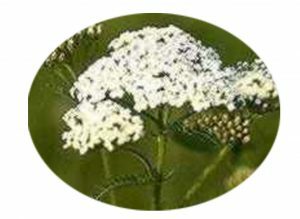 Flavonoids in yarrow flowers encourage circulation, lowers blood pressure and strengthens vascular walls. Its main active ingredient being thujone make it suitable for the treatment of some skin conditions. These consist of dietary supplements that can be added to your health lassie or smoothie. Consists of a balanced blend of Omega 3, 9 and 6 oils,plant based anti oxidants, tocopherol oil and oil-soluble vitamin C. Particularly suited to skin and nervous conditions. Bottled in dark glass. Recently a woman who is in remission from bowel cancer some years ago now, told me that she believed and still believes that this smoothie recipe is why she is alive and well today. She also used our St John’s wort oil ( a gift from us when she was really unwell) on radiation burns. These products are for topical application and have been formulated to ensure phtyo integrity is preserved. This natural oil blend with 100% pure Jojoba oil and rosehip oil has a molecular structure almost identical to human sebum so is able to be absorbed through the upper epidermis. This may be used a deep cleanser. Add a few drops to the palm of your hand and mix with a few drops of water and gently massage into face and wipe off with a soft tissue. St John’s Wort Oil An oil with concentrated levels of St John’s Wort extract. Acts on nerve endings and is suitable for minor skin conditions. This soothing deeply penetrating massage oil is suitable for people recuperating from a range of conditions. A non-oily multivitamin herbal complex consisting of vitamins A,E,F,H (biotin) B8(inositol), horse chestnut extract, natural plant humectants and AHA’s. Nutrient moisture mist to be sprayed on to cleansed skin and during the day as a freshener. The topical vitamins act as anti-oxidants and will assist in normalizing sebum production making it suitable for both excessively oily and dry skins. Go to our page on skin care to get detailed information on the product. Is a concentrated Vitamin C lotion consisting of cold pressed rosehip oil, natural vitamin E. Apply a few drops to cleansed skin morning and night. Oil-soluble vitamin C will assist in the production of collagen and the repair of micro-inflammation responsible for the aging effects of sun damage. Go to our page on skin care to get detailed information on the product. 2011-10-7 Facebook You need some of Everdien van Eerten’s Cell Vit C!! Incredible for repairs! I put it on sunburn last year and by morning it had completely gone. incredible healing stuff! This rich hydrating cream consists of a range of oil vitamins C and E, palmitic acid, and vitamins A,E,F,H (biotin) B8(inositol), Hypericum, calendula, aloe vera natural plant humectants and AHA’s anti-oxidants, lecithin, and phyto nutrients in a base of rosehip and jojoba oils and bees wax. The cream is absorbed directly into the skin to stimulate collagen production, enhance cell turnover, and prevent the formation of wrinkles. It contains concentrated levels of Oil-soluble vitamin C or vitamin C ester, which acts on the lipid layer that surrounds each cell. It acts as an effective anti-oxidant that can penetrate the cell plasma membrane.Massage gently into skin after cleansing at night. Items arrived today thanks and what a relief to be using them again as my face was feeling so dry since run out!! Plumbed out a few wrinkles when I used it today!! The green gold cream is incredible the way it keeps the skin from drying out;I have tried all sorts of night creams etc but have not used anything so good as that . I LOVE your skin care – its heaven for my skin – thanks so much!!! I have been using your Vit C serum and your night cream and love it. I was wondering do you have a day time cream as well or is it ok to use the night cream for both? Which I have been doing since my other day cream ran out.